This is one of my summer picks. And it’s not because Richard Haass’ Foreign Policy Begins at Home might have helped my golf game. This is a straight forward examination of American foreign policy. You will need it for this upcoming summer and the future decades as American policy will be more entwined with the world economy. 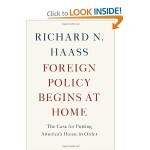 In short, Haass is warning Americans to get our own political and economic house in order first. We need to start cutting and restructuring our entitlements while also investing in infrastructure and technology to boost our economy and to protect ourselves from the upcoming security threats. This is an optimistic book. Sure, Haass discusses the daunting problems facing the world. But he believes the US is in a position to dominate the world and help the world – if we do some smart things. Haass is a proponent of an economic plan that resembles Simpson-Bowles. He also warns about the crony capitalism and the stagnant politics of Washington. This book will also help you understand what is coming this summer in the Syrian War, which I believe, will escalate into a bloody, regional war very soon. 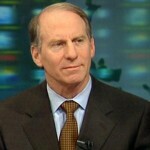 Haass cautions about direct US military involvement. Haass isn’t an isolationist. But he opposes US boots on the ground. It’s interesting the other two summer reads I suggest are also pointing indirectly to an increase in US Special Forces and covert operations. Haass also stresses more American involvement in the Asia Pacific region and away from the Middle East. He believes the boom in shale oil and natural gas in the US will make this easier. This is also a short book. Haass doesn’t waste your time. Haass writes clearly. So this is a book that you can read or listen to on the go. I actually listened to the audio book while spending hours hitting golf balls. If I start winning celebrity golf events, I will give a verbal shout-out to Haass. 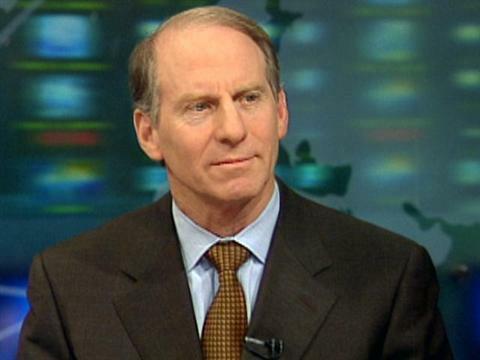 Haass is a recurring guest on MSNBC’s Morning Joe. He does not appear to have any political ideology or any bias toward Republicans or Democrats. Actually, he is a watchable calm amid the arm-waving and entertainment snark of Morning Joe. 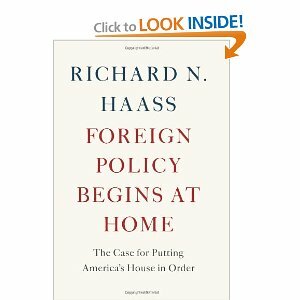 Haass was a policy advisor to Secretary of State Colin Powell so he has seen first-hand the problems created by the Bush Administration. Yet he is not overly critical of the Bush plan to spread democracy. He seems to think it was an admirable idea not carried out properly. In other words, assist these countries but let’s not dictate to them what their democracies should look like.